Tummy Tuck, or Abdominoplasty, may be your answer to achieving a flatter stomach. We all desire a flat tummy, but age, child bearing, lack of exercise and weight gain are the enemies in this battle. Men and Woman who have experienced dramatic weight loss, either through diet and exercise, or as a result of bariatric surgery, often have excess amount of skin around the abdomen. The procedure involves removing both fat and skin, tightening the abdominal wall and usually requires relocating the umbilicus. It is best suited for people with excess fat and skin. Although abdominoplasty is a more popular procedure for women, Dr. Wolf has performed the surgery on men as well. This surgery is performed under general anesthesia. Since it is a more involved surgery, recuperation usually takes several weeks or months to see the final results. The length of time for recovery varies depending on the extent of the abdominoplasty and the general physical condition of the patient. Most patients can return to work from three to four weeks after surgery. The results of a tummy tuck can remain for many years, if there is no significant weight gain or the patient does not become pregnant. Scars are mostly hidden within the bikini line or underwear and are usually inconspicuous. Liposuction or Body Contouring can be used to reshape the abdomen, thighs or other parts of the body. Dramatic advances have been made in recent years with liposuction techniques that now often replace more extensive surgery to remove unwanted bulging fat. The increasing popularity of liposuction is due to the effectiveness of the technique and the fact that it leaves only tiny scars often less than one-half inch in length. The success of liposuction is influenced by your age, your size, shape, or tone of the skin in the area(s) to be treated. Liposuction can slim and contour the body by suctioning out localized collections of fat with minimal scarring. A vacuum device is inserted through small incisions near the fatty areas. It is important to understand that liposuction is not a substitute for diet and exercise, nor a cure for obesity. 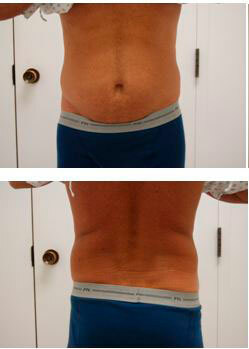 To get the most from this procedure, you should be of average weight with extra fat localized in specific areas. It is also important that you have healthy, elastic skin with the ability to shrink after surgery. Since liposuction removes only the fat it cannot eliminate dimpling or correct skin laxity. Men and Women who have experienced dramatic weight loss, either through diet and exercise or as a result of bariatric surgery, often have excess amounts of skin around the abdomen. Women can also experience this condition as a result of pregnancy, making the abdomen soft and flabby. An abdominoplasty, or “tummy tuck”, can remove excess folds of skin and tighten your abdominal muscles to create a lean, flat and more well-defined stomach. It can also diminish unsightly stretch marks. Because diet and exercise cannot remove excess skin, abdominoplasty is the perfect solution to tone and refine the abdomen. The effects of tummy tuck can be long lasting, provided you exercise regularly, eat a sensible diet, and maintain a suitable weight level. 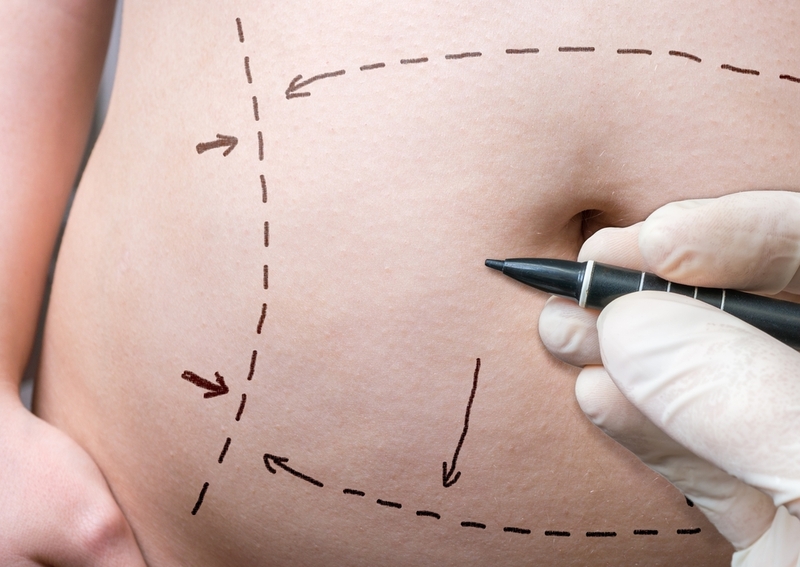 Who is a best candidate for abdominoplasty? Good candidate include men and women who are in relative good shape but have a large fat deposit in the abdominal wall or have loose abdominal skin. Abdominoplasty works best for people whose weight is stable. If you intend to lose more weight, you should consider postponing your tummy tuck until you’ve reached your target weight. A tummy tuck is not a weight loss procedure. Should I have a full or mini tummy tuck ? If your abdominal fullness and loose skin are confined to the area below the belly button, you may be a candidate for a mini abdominoplasty, which has a shorter incision and limits the tightening to the lower abdomen. If the fullness and skin laxity involve your entire abdomen, then a full abdominoplasty is most likely needed to help you achieve your desired results. What are the risks of having abdominoplasty ? Thousands of men and women undergo tummy tuck surgery successfully every year and are very satisfied with the outcome. However, any surgical procedure comes with inherent risks, such as the effects of anesthesia, infection, bleeding, blood clots, swelling and discomfort. These and other complications rarely occur and can usually be avoided. Dr. Wolf will discuss the risks with you thoroughly during your consultation and you should carefully follow his pre-operative and post-operative instructions. The length of time it takes to recuperate after a tummy tuck may vary depending on your individual health. After the procedure, a compression garment or girdle may be worn for 4-6 weeks. Heavy lifting or any other vigorous activity which would strain the abdominal muscles may be restricted for 6-8 weeks. A light exercise program, like walking, will help you heal better and can help avoid medical complications such as swelling and blood clotting. As with any scar, it takes about a year or more for it to mature and form an inconspicuous and pale line. If you have areas of excess fat deposits that won´t respond to diet and exercise, liposuction can be an ideal alternative to improve the contour of your body. As the most popular cosmetic surgery procedure in the country, liposuction can actually reduce and reshape the size of a particular area. Liposuction works because it not only removes unwanted fat, it also removes the cells that store fat. If you maintain your current weight and level of exercise, there is no reason to expect that you will regain fat in these troublesome areas. Some of the most frequent areas treated by liposuction for both men and women are the abdomen, love handles, hips, thighs, inner knee, back of arms and buttocks. Liposuction is not a weight reduction treatment, but a method of refreshing and contouring areas of the body that are disproportionate. Liposuction is a safe procedure with a low complication rate. The procedure involves making small incisions to insert a hollow tube, called a cannula. Fluid will be added to reduce bleeding and discomfort. Excess fat is then removed through the tube using a back and forth motion into a suction container. Post-operative recovery is relatively quick, but bruising and swelling can remain for 4-12 weeks. If following surgery, you maintain a healthy lifestyle (including a sensible diet), perform moderate exercise and maintain your weight, longt-term results are likely. Liposuction is a safe procedure as long as patients carefully select the operating facility. The facility must be clean and properly equipped, and the doctor must be adequately trained. All surgery does carry some degree of risk. Your doctor will go over all the possible risks and complications with you during your consultation. After liposuction, a compression garment or girdle may be worn for 3-4 weeks to minimize swelling and to help your skin tighten around your new, slimmer figure. Healing is gradual, and you will begin to see a noticeable difference in your body shortly after surgery. How quickly you are able to resume normal activities will depend on the amount of liposuction that is performed, your individual body type and your current health. Once the fat is removed, it should not come back. However, liposuction will not prevent you from gaining weight due to an unhealthy lifestyle. Make sure you eat healthy and exercize regularly to help avoid gaining unwanted fat.